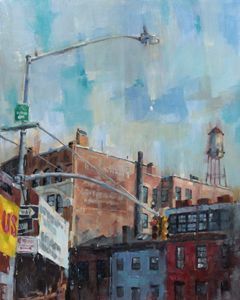 Oil on canvas painting of a street scene done in a unique and personal style that can best be described as contemporary impressionism with a touch of realism. 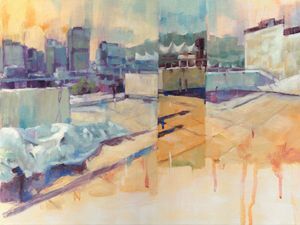 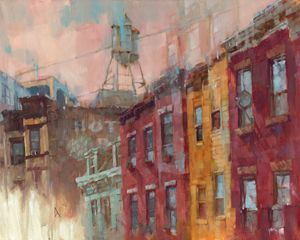 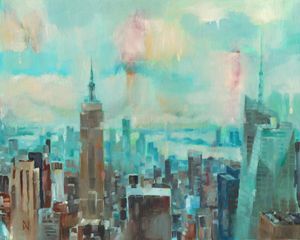 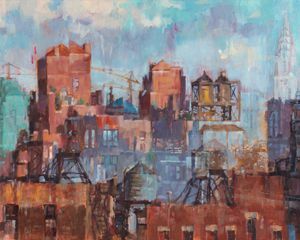 The subject of cityscapes and urban landscapes Dom has always found interesting in the way the less natural, more structural form convey a feeling of grittiness and order. 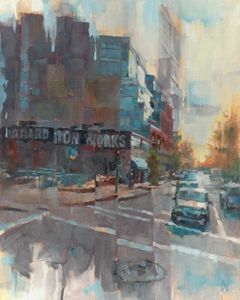 This combination of subject matter and Dom's broad and loose brushstroke painting style result in images with a dichotomy of moods that is both brooding and breezy at once.